Custom Nike Golf Dri-Fit Tech Stripe Polo 5778677. Perfect custom embroidered polo for the office or field. Free logo setups for orders over 12pcs. 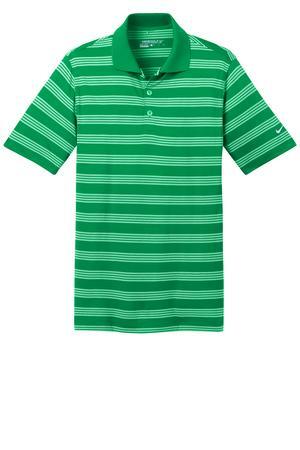 Bulk volume Nike Dri-Fit polo orders qualify for free shipping. 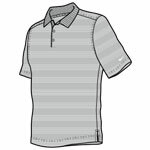 Take the course in a comfortable, classically styled polo complete with Dri-FIT moisture management technology and athletic stripes. 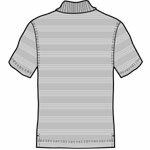 Design details include a flat knit collar, open hem sleeves and side vents. 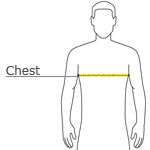 Features a three-button placket. A contrast embroidered Swoosh design trademark is on the left sleeve. Made of 6-ounce, 100% polyester Dri-FIT fabric.